One of our nonprofit clients went to a Google marketing conference and shared with me some of the best takeaways he heard. One of the boldest statements came from a Google executive who told the crowd that in the future, there will be no brands. It’s one of the biggest misconceptions in PR: media contacts drive media placements. With my 15+ year background in TV, you’d think I would want to drive that narrative. I’m connected to journalists across the country, so the misconception does serve my interest. But honestly, it’s not true. And any PR firm that brags about their contacts is relying on the wrong strategy. Media placements are always about editorial. You first need a solid story idea to get the media’s interest. Yes, a contact at the local trade will help but I always say that is more of an assist. It’s not a strategy. Tomorrow is a big day for our nonprofit client that helps veterans and service members with financial literacy. It is hosting a free VA Summit in San Diego that will educate the local community on local, state and federal programs that can lower housing costs for veterans, reservists and active military. But what happens if you organize an event and no one shows up? It’s a horrible feeling that continually gnaws at my stomach as we promote local VA Summits across the country. That’s because our clients are personal for me – all of them. I want to succeed and get them the biggest news stories possible. If our clients are turning to us for help, they are believing in us. The monkey is now off my back. MACIAS PR secured local TV segments for our nonprofit client on Channels 8, 9 and Channel 10 – and in only one week. I’ll call it a trifecta for media placements. MACIAS PR also secured multiple radio segments in San Diego that educated listeners during drive time on Saturday’s VA Summit and how it can help families save money. I don’t say this to brag. I share this information with you – as a potential client – to help you see that our clients are more than just an account. To me – clients are personal. Remember when you were a little kid and there was a teacher or coach who believed in you? You wanted to prove them right. You wanted to show them that you do deserve their accolades. If a client signs on with MACIAS PR, they are telling me they believe in our strategy, my media experience, our approach, my values and our work ethic. And when we succeed, our team takes the time to reflect and celebrate. Some of our team members never get to meet our clients in person, but you know what? We still celebrate because our clients success is our success. It’s a competitive spirit that continually leads to media coverage for our clients. I always say, PR is about persistence. It’s also about strategy. And with MACIAS PR, you get both. Here’s a closer look at the segment that ran this morning on Channel 9. I just watched a 60 Minutes investigation that slammed the budget airline, Allegient Airlines. The investigative reporter described Allegient as the most dangerous airline. If that doesn’t kill a reputation, what will? Every time I watch an investigative story on TV, I go back to my investigative reporter days and reflect on how I would have defined the story. I also compare how the accused responded in the interview. So what could Allegient Airlines have done differently to manage this crisis situation? New York, New York, April 16, 2018 (Newswire) –​The top tech and healthcare PR firm – MACIAS PR – has released its quarterly media report, detailing the coverage it secured for clients from January to March 2018. 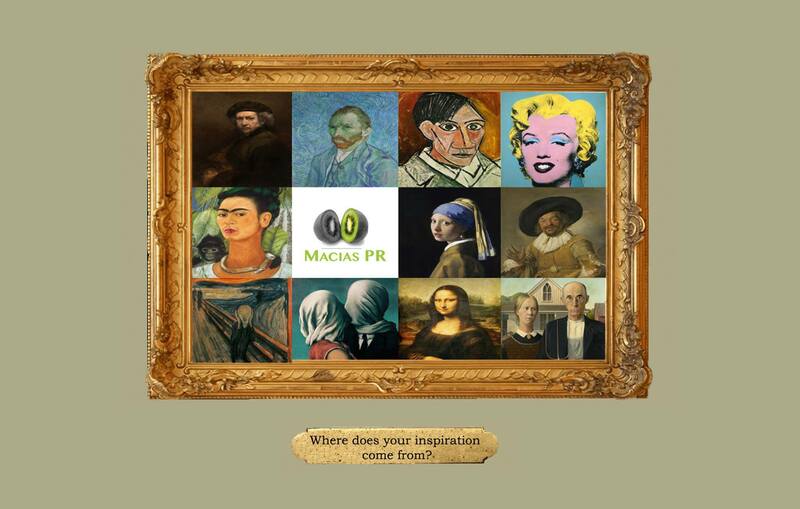 Throughout the first quarter, MACIAS PR secured publicity for its clients with local and national newspapers, online news sites and TV stations in Washington, DC, New York, Arizona and New Jersey. ABC 7 in Washington, DC ran a story on the flu epidemic and turned to its health tech client for advice on how consumers can save money on prescriptions. MACIAS PR also placed a TV segment for that client that appeared on KGUN 9 in Tucson.